It’s common to talk in Blogland about supporting handmade, but most of us buy a few things on Etsy or from a craft show each year and call it good. There’s nothing wrong with that: this post is not coming to you from a soap box — not everything’s indie around here by all means. This isn’t about convincing you to shed all things corporate from your lives; it’s about widening the view of “handmade” to broaden the support of bloggers participating in this movement–our support–to more than just crafters and artisans. In other words, we want to inspire you to support those doing it themselves in more areas than just arts and crafts. While there are tons of ways to support independently owned businesses and the handmade movement, such as eating at independently owned restaurants or shopping at craft fairs, we’d like to talk about how the handmade/indie philosophy has recently affected the entertainment biz, specifically in the areas of literature, film, and comedy. We’re going to tell you the stories of three inspiring entertainers/entertainment crews that show that supporting the DIY movement could change not only what we buy, but the world of entertainment as we know it. One of the people I’ve found to be most inspiring in the indie entertainment business is Jonathan Papernick, whom I read about in the November 2010 edition of Poets & Writers (“Papernick Revives Book Peddling” by Allison Gaudet Yarrow). 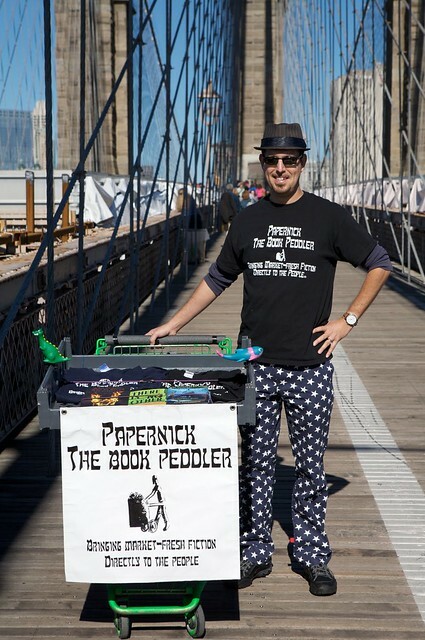 A fiction writer and professor, Papernick created the persona “Papernick the Book Peddler” to sell his two short story collections himself, directly out of a cart. Papernick sold his books in farmer’s markets, valuing the human contact he was able to make with his customers and readers. Papernick made this decision in response to the commercialization of the book industry; he believes books are mostly published based on marketability rather than merit. Papernick challenged me to think about how I want my first novel to be published (in the event that I ever manage to finish it). There might just be a The Nerd Nest Books web shop instead of a Megan Anderson original published by some big publishing house. This thought line requires more research, but not until I’ve actually finished writing the darn thing. I can’t wait to read his first work, The Ascent of Eli Israel and Other Stories. It’s on it’s way! There will be some happy mail this week. Selling your work yourself face to face is not the only way to go. The Internet can also be a powerful tool for skipping the middleman and selling your product directly. This method is now taking off with comics (read about it in this New York Times article). We first heard about comics selling direct through one of our favorite comedians, Louis C.K. (he’s super duper crass; don’t check him out if you can’t handle vulgarity). 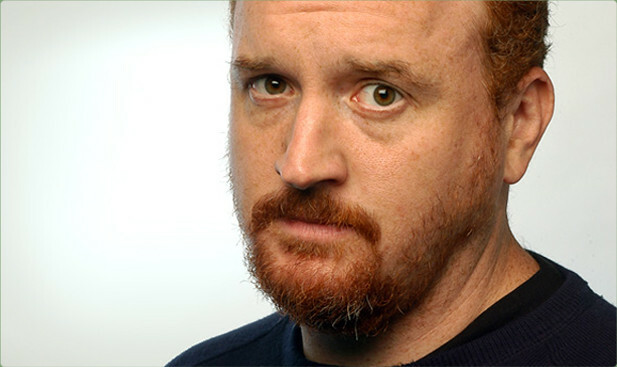 Louis C.K. decided to sell his stand-up special “Live at the Beacon Theater” for $5 through his website. I don’t know how much it’s made now, but 12 days after it was available, it made over a million dollars. He’s even up front about where the money goes here. Obviously, Louis C.K. had the benefit of being already famous when this was released. If our comic friend Paul Nyakatura did the same thing, he wouldn’t make a million dollars in 12 days. He might not even make $100 in 12 days. That’s not the point. The point is that DIY is possible on a grand scale. Can you imagine if, instead of big companies seeking out new talent, comedians in the limelight used social media to promote unheard of comics? There’d be a better selection of comedy floating around out there, that’s for sure. Not everything “indie” has an individual face to it. Papernick was a lone wolf, Louis had a big crew, but this next indie project is made up of over 250 volunteers. Project London is an independent work in another area of entertainment: film. Project London is a full-length movie being created by an all volunteer cast and crew with almost no budget and 774 visual effects using open source 3D software. You’ll have to watch the preview below to understand why these facts are staggering. Is it going to be perfect? No. Is it completely amazing that the budget for this movie was not millions of dollars? Yes. We think this movie proves that claims that piracy will end the entertainment business are unfounded. While the major movie studios may topple, there will always be amazing films, just as there will be books even if the publishing houses go under. Just as there will be music if the record labels go bankrupt. We’re not suggesting that the dissolution of these entities is desirable–Jake has a degree in business management and mine’s in sociology, but I’m pretty sure one of us would need a doctorate in Economics to make those claims. This is more of a moment of awe. Look what can be done. What was once thought of as the inaccessible is now in the realm of the possible. And that, friends, is amazing in the true sense of the word. 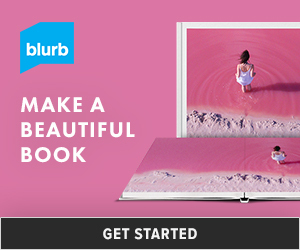 Are you in love with a DIY artist? We’re partial to underground punk bands, ourselves. Share your indie finds! Find more Let’s Get Serious posts here.